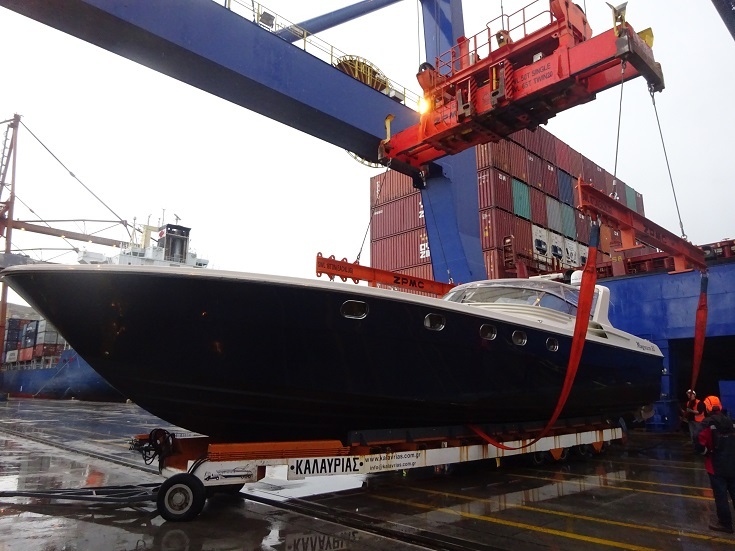 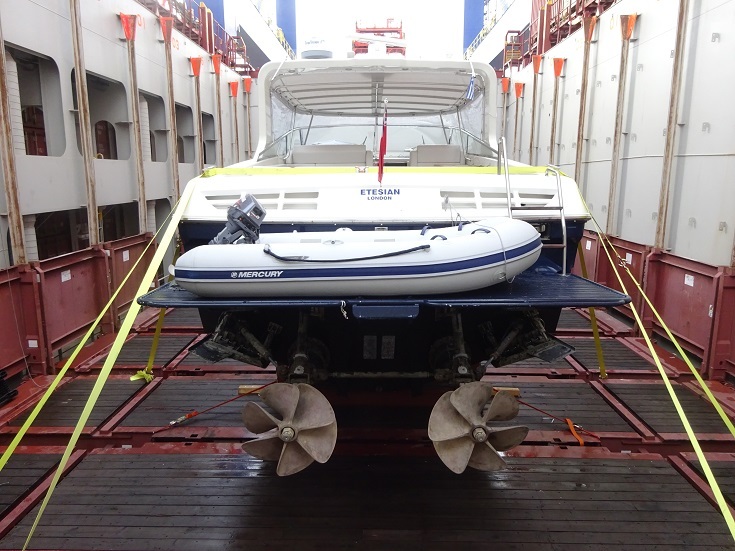 This service is most suitable for larger boats with access height which cannot be moved over the road to the port. 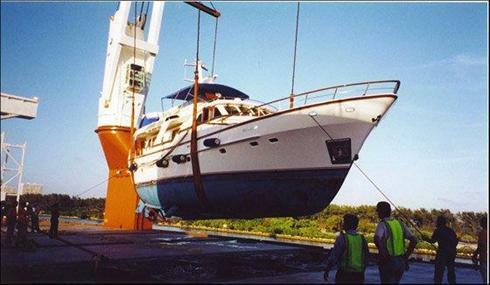 The boat is parked alongside the vessel. 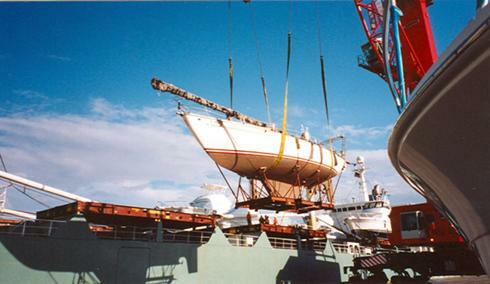 WeShipBoats lowers lifting slings from the vessel to the water. 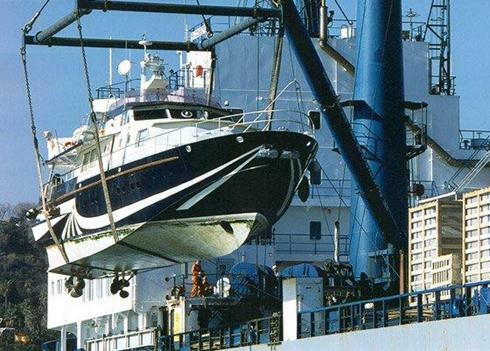 Through the use of divers, WeShipBoats secures the boat using its marked lifting points on the boat to the slings. 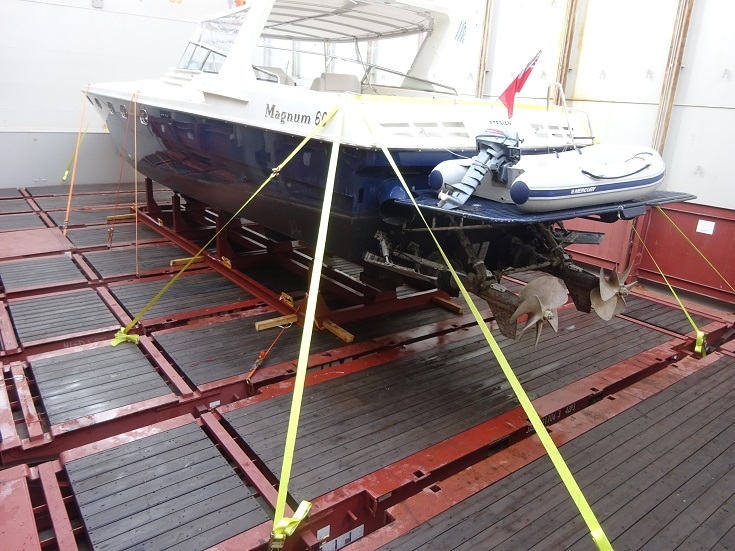 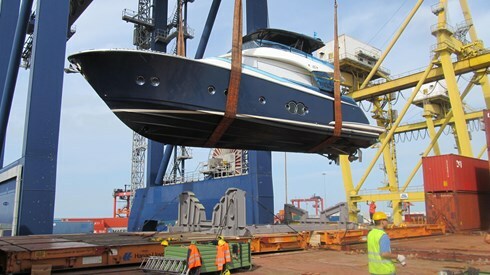 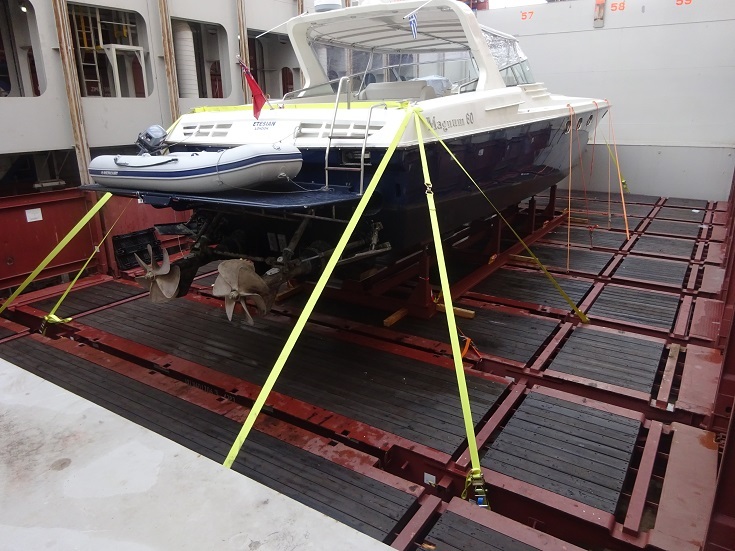 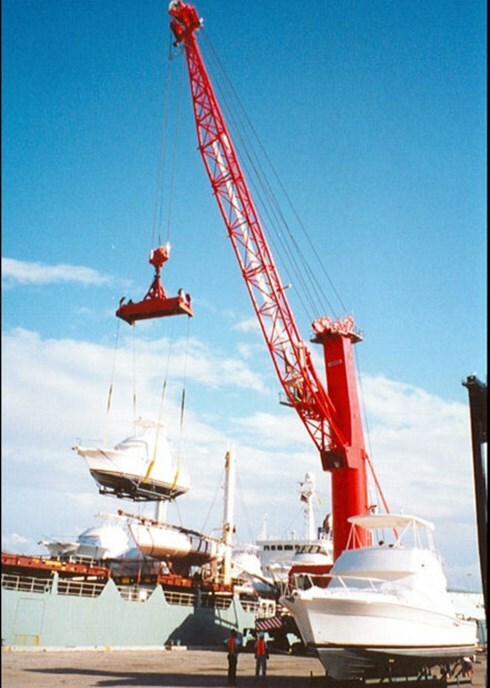 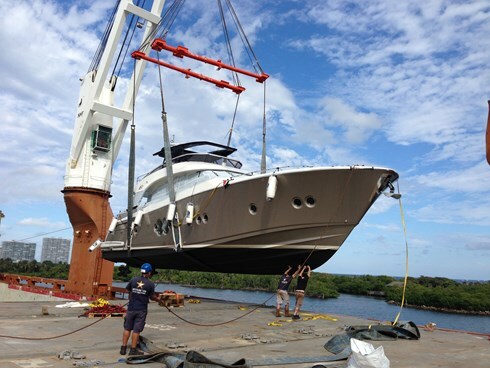 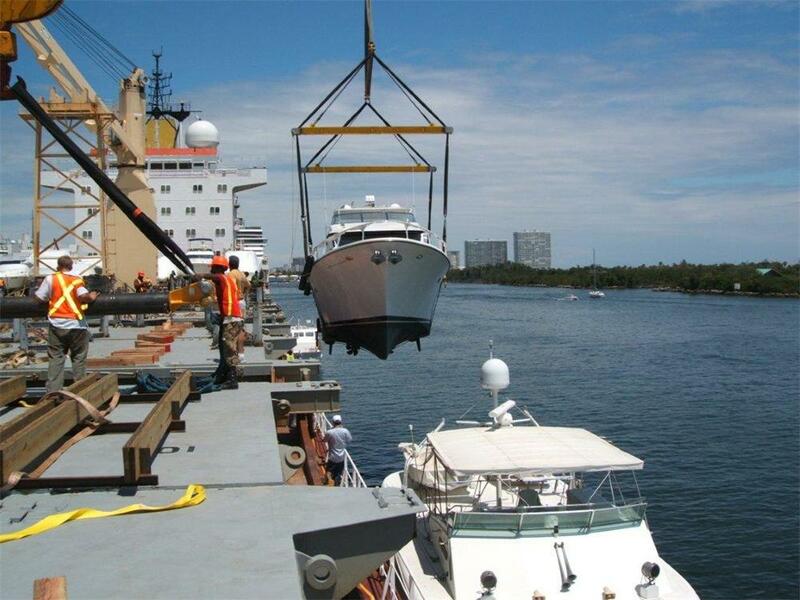 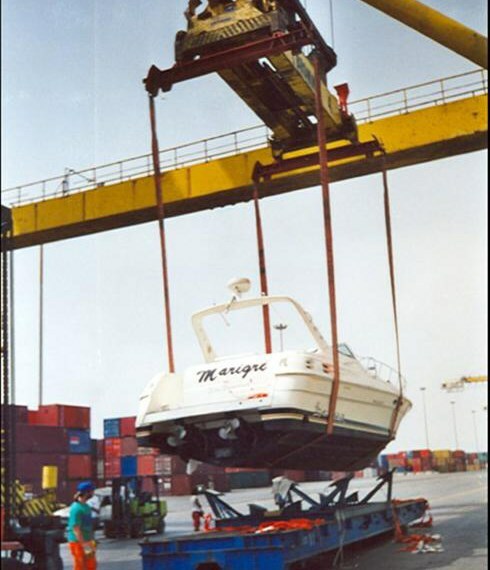 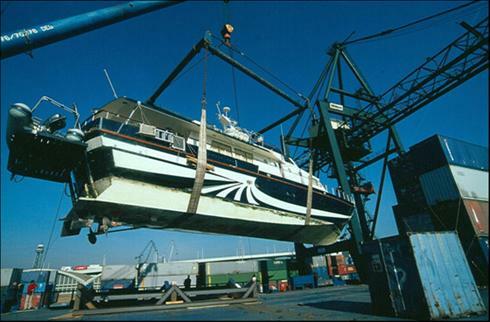 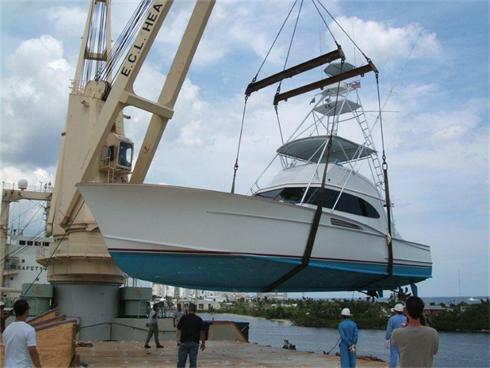 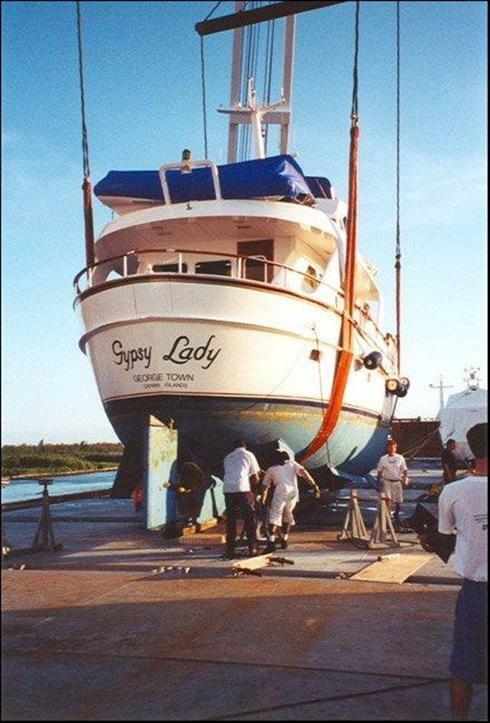 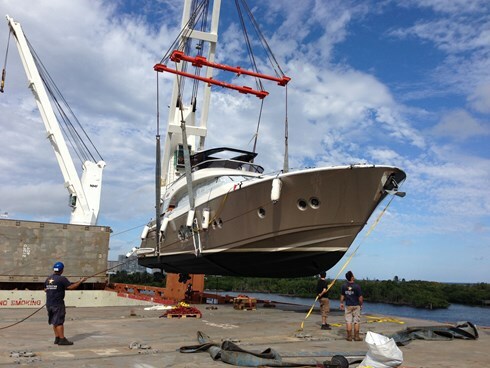 This allows the crane to lift the boat safely from the water to the vessel. 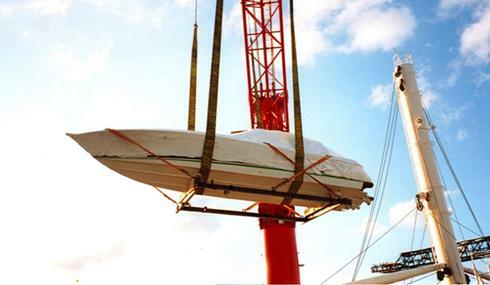 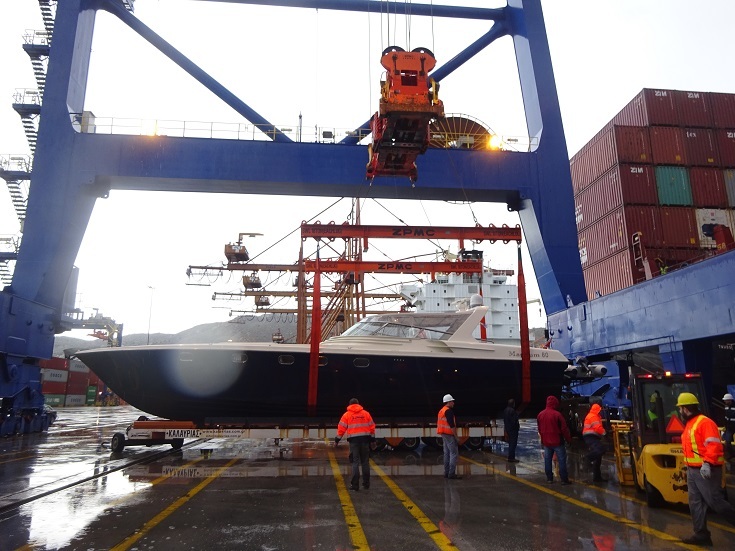 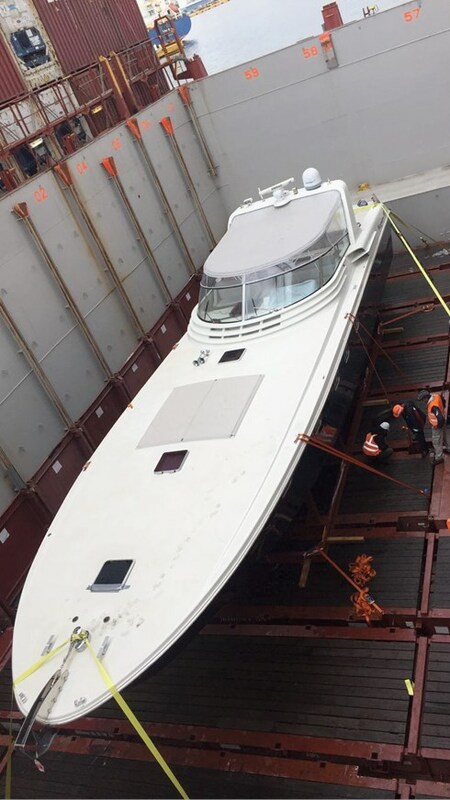 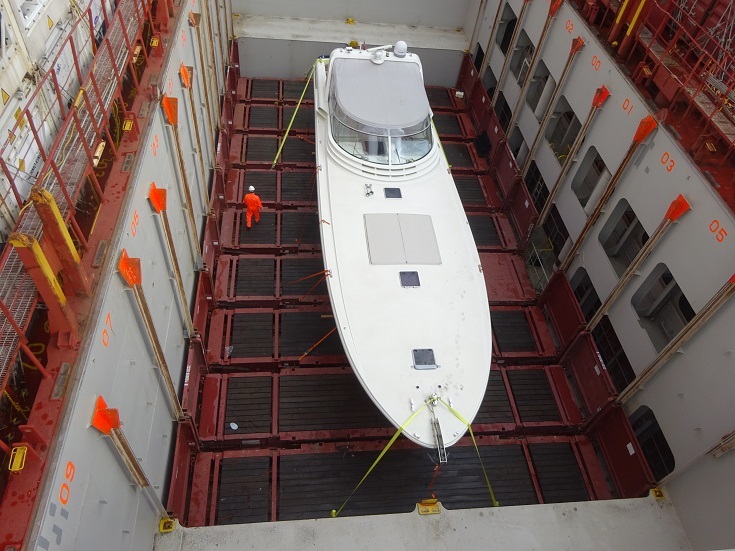 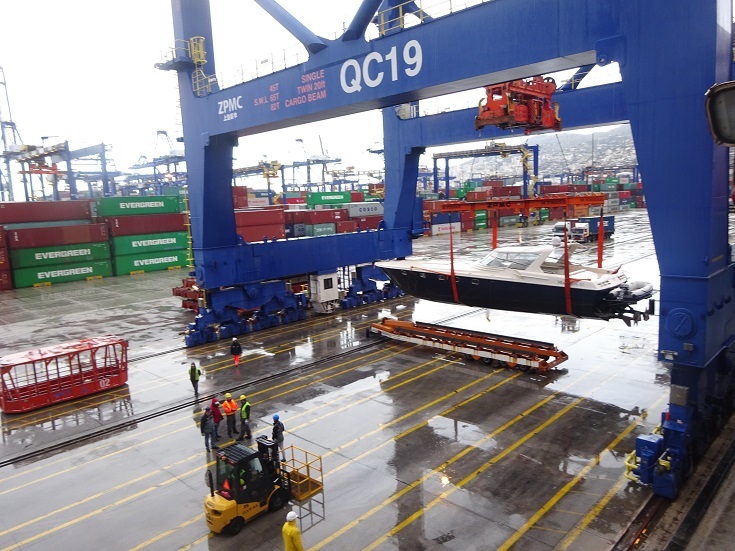 A cradle is positioned on the deck of the vessel waiting for the boat to be lifted onto it. 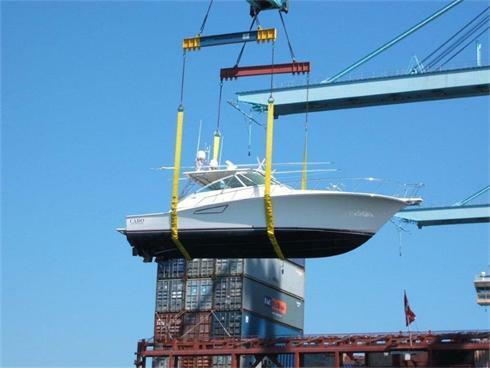 Once lifting is completed WeShipBoats secures the boat to the cradle and to the floor of the vessel with straps and chains.